Great coverage of US markets. Live betting available for all US sports. Fast & competent customer support. 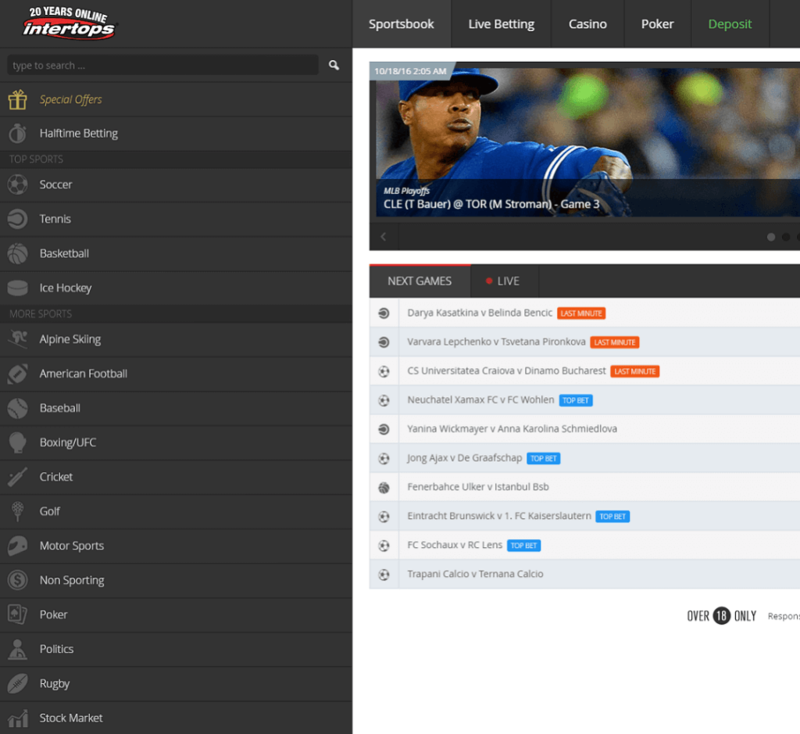 Intertops is one of the oldest sportsbooks in the industry today. It was established in 1983 and created an online sportsbook in 1996. They were certainly one of the first online sportsbooks and added poker and several casino games to their website a few years later. 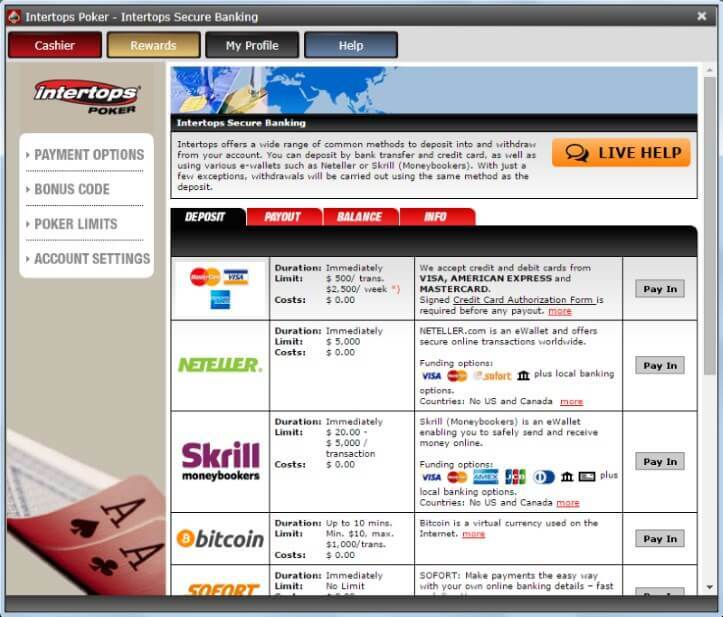 Intertops was one of the first sportsbooks offering its services on the internet. In 2003, the company also created a new website, which gave players the opportunity to use one single account for sports betting, poker, and casino games at the same time. They have set up their headquarters in St. John’s, Antigua and Barbuda, and own a sports betting license in the same place. 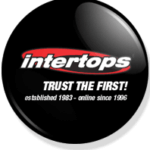 Intertops provides their customers with a lot of exciting promotions. First of all, there is a generous First Deposit Bonus up to $200. Sign up with Intertops through our Sign-Up Link. Make a deposit into your sportsbook account. Initiate the Live Chat and mention one of the three sign up bonus codes below. Now you can start placing your bets! If you would like to go for a small bonus, mention the bonus code: ROOKIE50 in the Live Chat. They will provide you with a 200% bonus up to $50. If you want to go with a 100% Bonus up to $100, you have to use the bonus code: ROOKIE100. Players who want the largest bonus amount have to use the bonus code: ROOKIE200. That will provide you with a 50% up to $200. In order to request the bonus, you will have to wager your initial deposit amount once in its entirety at odds of 1.50 or greater. Another great welcome offer is the $20 free bet. Once your first wager is placed (valued at at least $20), you will receive a $20 free bet token. The $20 free bet must be completely wagered within 30 days and before a payout can be requested the sum must be rolled over at least 16 times. 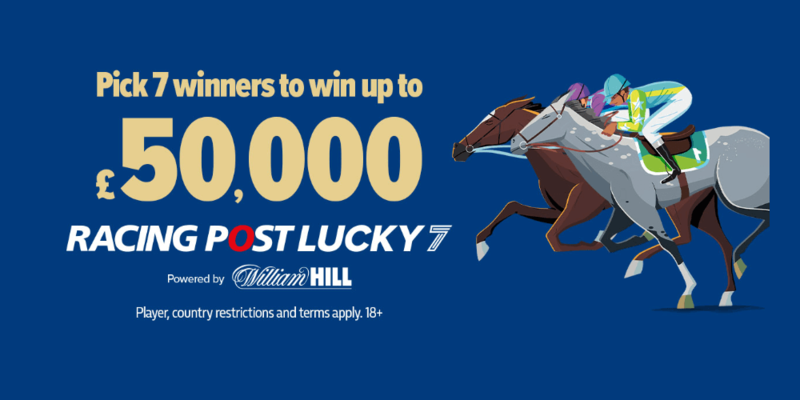 Please note, you can only use one welcome offer – either the $20 free bet or one of the offered first deposit bonuses. 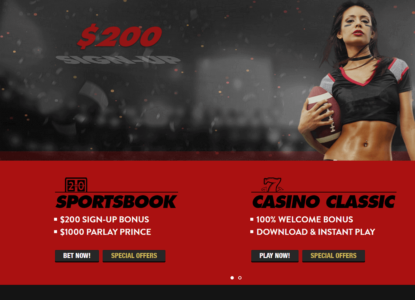 Our following step-by-step guide will show you how to easily set up your account within a few minutes and benefit from our fantastic $20 Free Bet offer or our $200 Welcome Bonus. Please make sure to use our Intertops sign-up link to start the free registration process. You will then be redirected to their homepage, where you just need to click the ‘SIGN UP’ button in the top right corner. Once your account is created you can start to deposit your first money into your new account. Simply choose your preferred payment method, your currency, and follow the instructions on the screen to finish the deposit process. Make sure to mention one of the 3 bonus codes to become eligible for an up to $200 Welcome Bonus and all other benefits. Intertops is currently offering 19 types of sports. That number might seem a little bit small, but besides the most popular sports like soccer, basketball, and tennis, you will also find some exclusive and rather unusual choices like bets on politics, poker and the stock market, which definitely make up for that. The selection of betting markets for soccer is fantastic and there are also plenty of leagues covered. 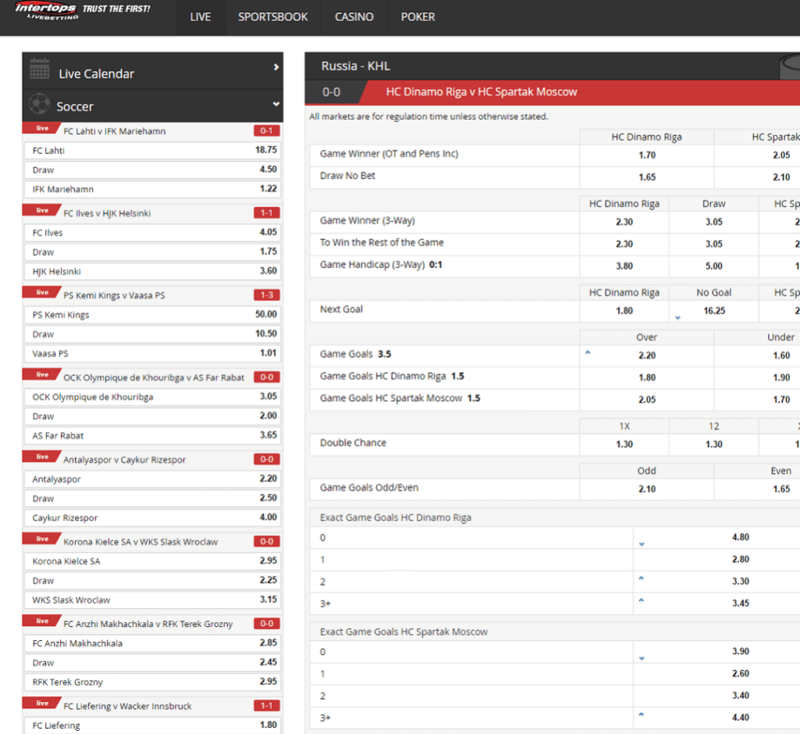 You will find all important betting markets including match goals, handicap bets, half-time bets, and many more. The sportsbook interface has very quick loading times and a very simple, yet appealing design which makes placing bets easy. Intertops offers a large number of sports, and the market depth for each is sufficient for a great betting experience. Compared to other big sportsbooks, the odds are not market leading but still high and in a very competitive range. However, they are focusing a bit more on the US market, where you will also find some pretty good odds. If you prefer to bet on football, baseball, basketball, ice hockey, or UFC, this might be a sportsbook you want to check out. 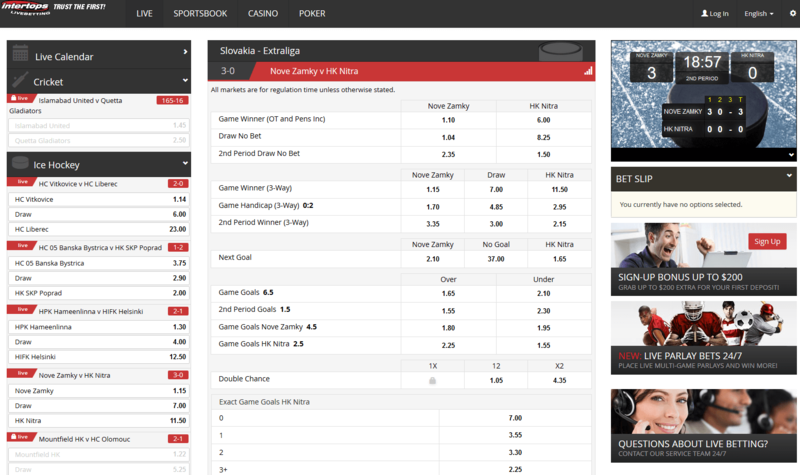 However, to find the best available odds for any event, please heck our Odds Comparison Page where we provide you with an overview about the best odds for different events through different sportsbooks. You just need to check for your preferred sports event and we show you which sportsbooks currently offer the best odds. Intertops does not have as many offered markets as their bigger competitors, but they still present pretty decent coverage to make it a good place for live betting fans. They also have overworked and re-designed their whole website to make it more user friendly. You can now quickly and easily navigate through all sections and markets to find the perfect event for you. Please take some time to also check out our sports live betting page for more information and details about in-play betting in general and the best live betting sportsbooks. Unfortunately, Intertops does not offer any live streaming on their site yet. 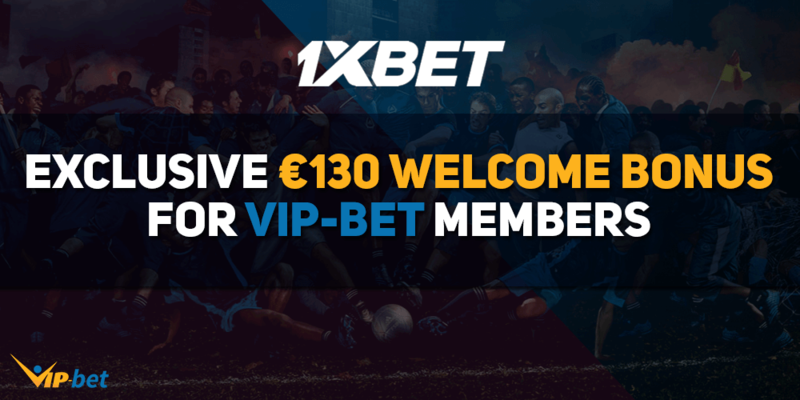 We expect some changes in the future, but in the meantime you can check our Sports Live Streaming section, where you will find the best live streaming sportsbooks and some more information about live streaming in general. 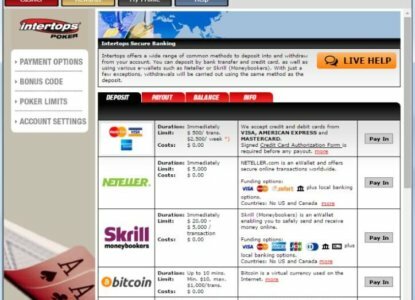 Intertops offers all important payment options so that every customer will find a way to easily deposit into their sportsbook accounts. You can even use the digital currency Bitcoin to deposit and withdraw money. The following table gives you a quick overview about the most important payment options and their fees and limits. Intertops has a lot of nice promotions with some good value and you should make sure to not miss it. Check our overview on a regular basis to find all running promotions and get the chance to increase your winnings with some additional cash. Win tickets to the Final Four – Wager on NCAA basketball action this season and you are in the draw. $500 Present for our Odds Hunter – Show your skill and hunt down the highest odds for our monthly free cash prize. 20 x $50 Parlay Free Bets – If your parlay loses by exactly one option, you are in our weekly draw. $1k Monthly Parlay Prince – The customer with the highest net profit from a single parlay bet in each calendar month will be rewarded with an amazing $1,000 bonus with no rollover requirements. Good Luck Giveaway -Earn an amazing 10% bonus, up to USD $50, every Thursday on deposits using any payment method other than credit card. Over the last three years, Intertops has paid out over 500 million dollars in winnings to its customers around the world. Over the past 20 years, the company has built a reputation as a reliable and serious partner for all wagering enthusiasts. 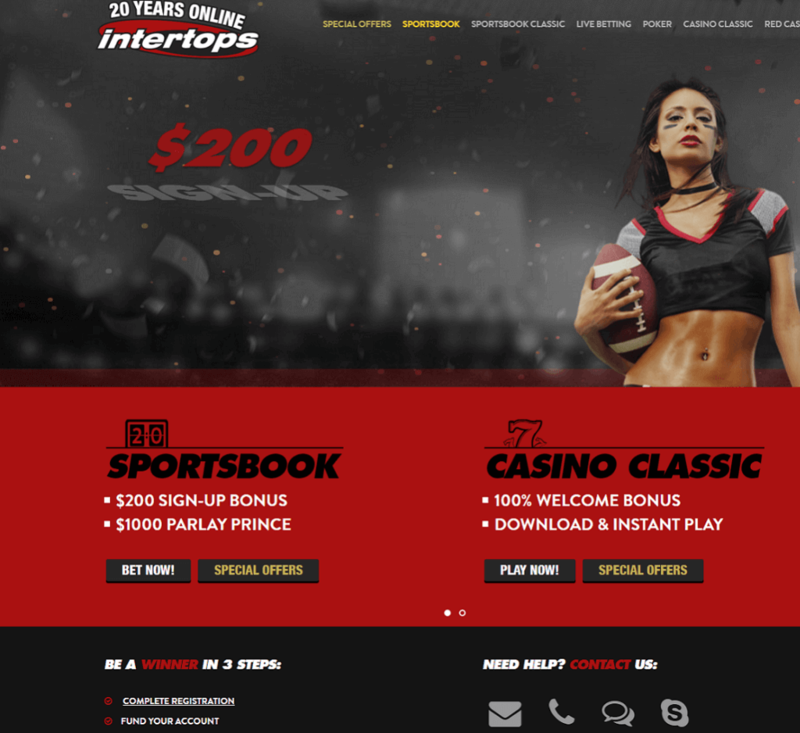 Intertops was founded in London in 1983 and is the first sportsbook in the world that accepted an online sports bet. In 1992 the company decided to move to Austria and just four years later they set up an online sportsbook, making it the first online bookmaker. 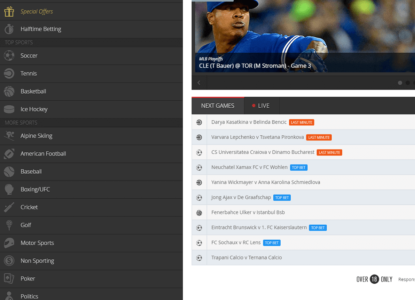 The company was also the first sportsbook to offer a mobile version of the site for its customers. 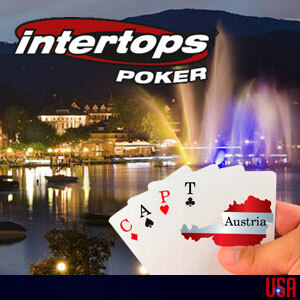 Intertops offers one of the lowest minimum stakes online. They have made a name for themselves as one of the most reliable and dependable sportsbooks ever. The company has more than 30 years of experience in the sports betting industry and has always put a strong focus on the security of funds. It also guarantees that all customers are paid on time. In general it is safe to say the company offers some of the fastest payout times online with a wide variety of payment operators. If you visit the bookmaker’s homepage, you will notice that they are offering two different sportsbooks. The first one is the redesigned new version, which is set to be the standard website. However, if you would like to experience a rather traditional betting experience you should check out the classic version of their site. 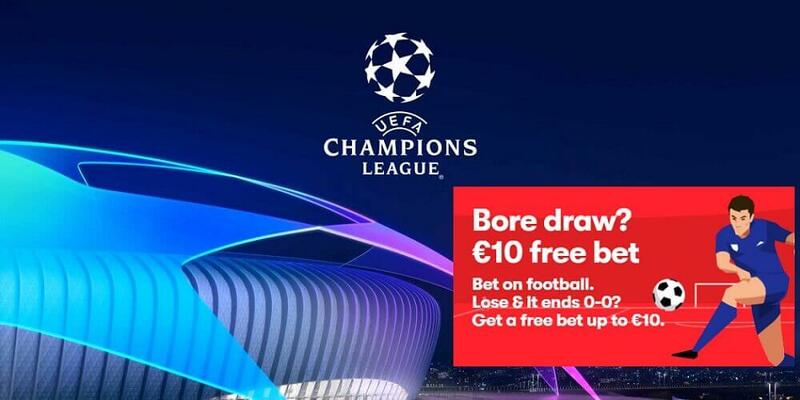 Both sportsbooks offer the same betting markets and games and are therefore basically the same in terms of their quality overall. The single difference between these two version is their design. Licenses: Antigua and Barbuda, Kahnawake. Head Office: St. John’s, Antigua & Barbuda. Intertops does not offer a native mobile app for their sports bettors. However, their website is mobile friendly and you can access it with any mobile device. No additional app is needed for that. Just visit the website to start your mobile experience. Unlike some of their competitors, customers can only access a mobile website, but not download any app to enjoy betting on the run with Intertops. 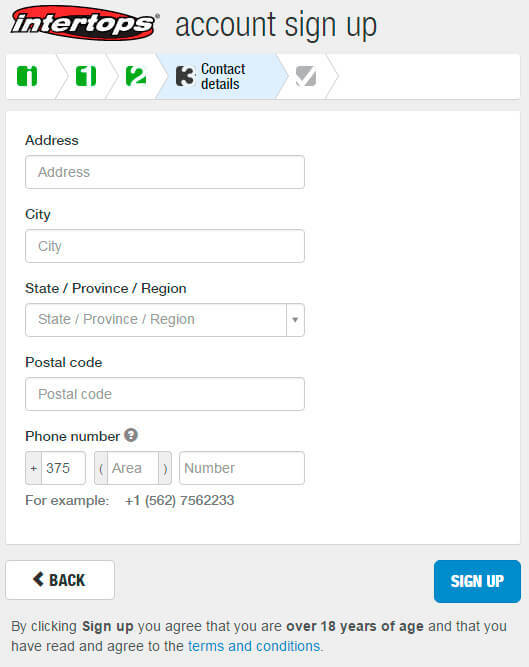 However, Intertops has done a lot of improvements to their website to make it as mobile friendly as possible. Just visit their mobile website with any mobile device through your web browser and enjoy betting from all around the world, no matter where you are right now. Live Betting: Intertops has a great selection of games. 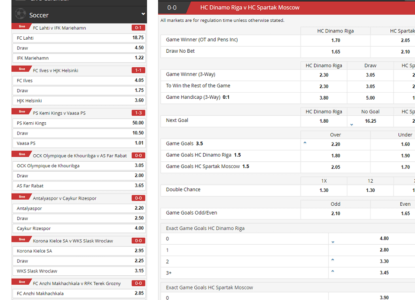 They offer many different betting markets and also provide a Live Calendar. Sports & Leagues: Soccer, Tennis, Basketball, Handball, Ice Hockey, Alpine Skiing, American Football, Baseball, Boxing/UFC, Cricket, Golf, Motor Sports, Non Sporting, Poker, Politics, Rugby, Stock Market, Volleyball.